Michael Janisch is an electric & double bassist, composer, bandleader, producer and record label owner originally from the USA currently based in London, England. 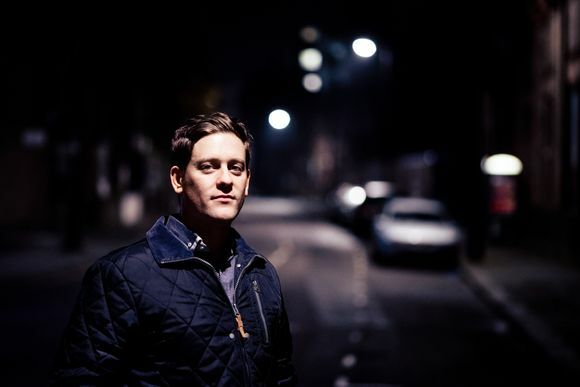 As a composer and bandleader Janisch has released five critically-acclaimed albums to date: The TransAtlantic Collective’s Traveling Song (co-led with Patrick Cornelius) in 2008, Purpose Built (debut solo album) in 2010, Banned in London (co-led with Aruan Ortiz) in 2013, and First Meeting: Live in London, Volume 1 (co-led with Lee Konitz, Dan Tepfer & Jeff Williams) in 2014. His debut solo album Purpose Built established his international reputation as one of the premier bassist-bandleaders-composers working in contemporary improvised music, and drew together his sure-footed bass work (both electric and acoustic), original compositions, and arranging skills along with some characteristically strong performances from a group comprised of prominent musicians from both sides of the Atlantic, including Jim Hart, Walter Smith III, Mike Moreno, Jason Palmer, Paul Booth, Aaron Goldberg, Phil Robson and Johnathan Blake. JazzTimes Magazine called it “the complete package” while Jazz Journal noted it was a “perfect blend of tradition and modernity” and was received with high critical acclaim by fans, press, musicians and fellow bassists, while making a number of ‘Best of the Year’ critics’ lists. Purpose Built was also the impetus for the creation of Janisch’s new record label, Whirlwind Recordings which made an immediate impact on both sides of the Atlantic. Described as “the new label of the moment, releasing a diverse cross section of excellent music.” (BBC Radio 2) and “one of Europe’s busiest and most creative independent labels.” (The Irish Times), Whirlwind has been featured as a label in Jazz Journal, Downbeat, Jazz Thing and Record Collector Magazines as well as The New York City Jazz Record. In addition to performing Michael is an adjunct Professor of Double Bass at the Trinity Laban Conservatoire and the Royal Academy of Music in London.